​Major trading partners: none.Special relationship within the Commonwealth of Nations. Transportation: Railways: total: 5 km; note: used to haul phosphates from the center of the island to processing facilities on the southwest coast (2001). Roadways: total: 30 km; paved: 24 km (2002). Ports and harbors: Nauru. Airports: 1 (2013). 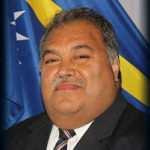 Baron Divavesi Waqa is a Nauruan politician who has been President of Nauru since 11 June 2013. 2003: He was elected in the May 2003 elections to the Parliament of Nauru, representing the constituency of Boe. 2007: Waqa remained loyal to his Administration during the ministerial crisis which occurred in 2007. 2014: In January 2014, he survived a vote of confidence over his deportation of the Australian resident magistrate Peter Law and the cancelling of the visa of the Chief Justice Geoffrey Eames, also an Australian national. 97% of men and 93% of women are overweight or obese. In 2012 the obesity rate was 71.7%. 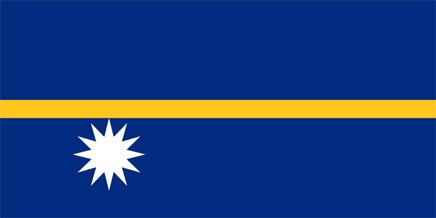 Nauru has the world’s highest level of type 2 diabetes, with more than 40% of the population affected.Other significant dietary-related problems on Nauru include kidney disease and heart disease.